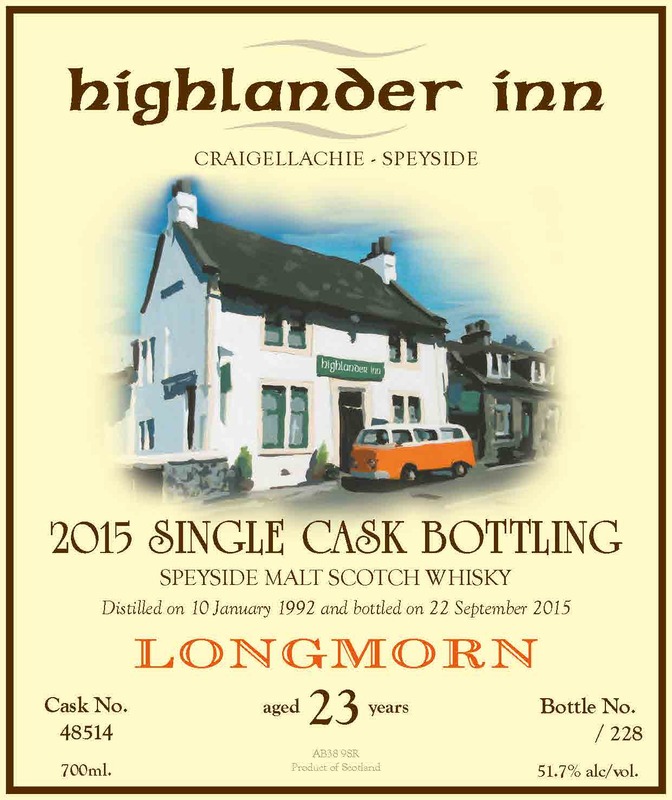 Highlander Inn 2015 Single Cask Bottling ~ Longmorn. The Twelveth in our series of "Annual single cask bottlings" is from Longmorn distillery. Tatsuya had nosing and tasting with Jan and Marcel of The Whisky Import Netherlands on Thursday the 23rd of June. We all agreed, this is one of the finest casks owned by Adelphi distillery. Cask Number 48514 was distilled at Longmorn distillery on Friday the 10th of January 1992. It was bottled on Tuesday the 22nd of September at its' natural cask strength of 51.7% acl/vol. From American white oak sherry hoshead, we managed to get 228 bottles. Thanks Alex for organising everything! Hans Dillesse, a well known artist in the Netherlanders and serious whisky enthusiast, and a good friend of Tatsuya for many years, was asked by Tatsuya to design the front label for the 2015 bottling of Longmorn. He has done a fantastic picture for our new release. Clean white wall, beautiful blue sky and Tatsuyas' yellow camper van parked in front of the Highlander Inn give the picture a really nice touch and makes the Longmorn bottle really stand out, great job Hans! Why not take a look at some of his other pieces by following our this link to Hans website. The Highlander Inn Longmorn front label. 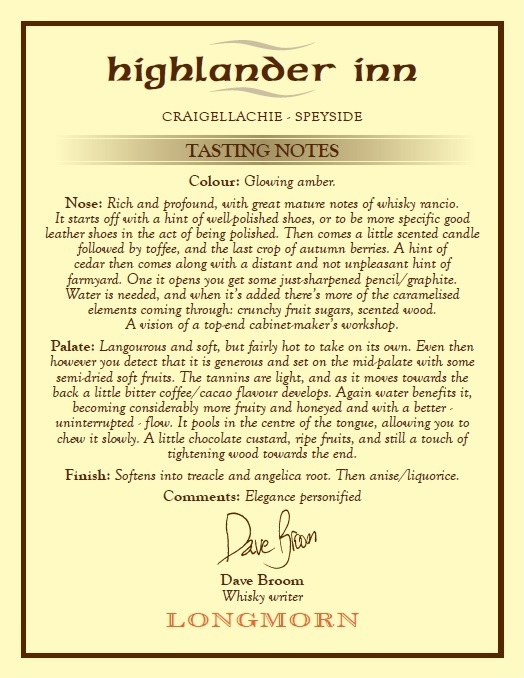 The Highlander Inn Longmorn tasting notes. 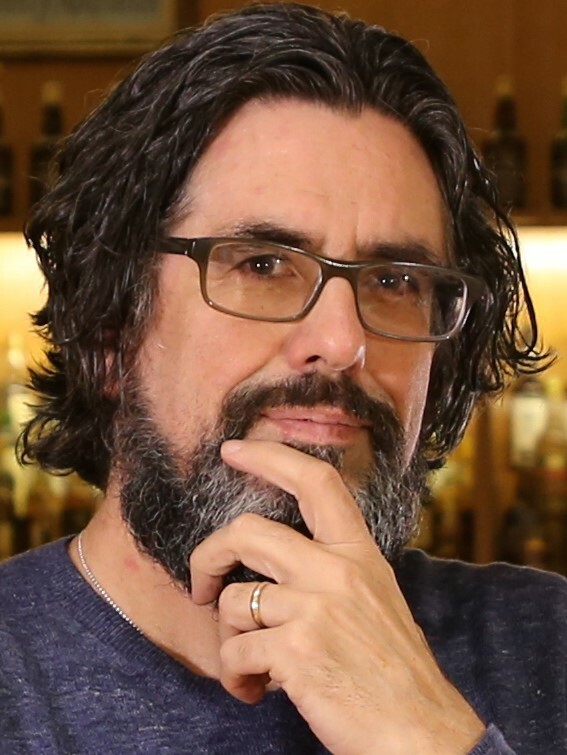 Dave Broom, we don't need to explain who he is, one of the most respected whisky writers in the industry and also good friend of the Highlander Inn. Tatsuya worked with Dave at several whisky events in the past and has agreed to tasting notes for the back label of the new Highlander Inn Longmorn bottle. As always an excellent job Dave! We have only just lauched this bottle but already the majority have been sold. This bottling is now sold out, however you can taste the whisky at the Highlander Inn for £20.00, so why not come on down and see what you you think!